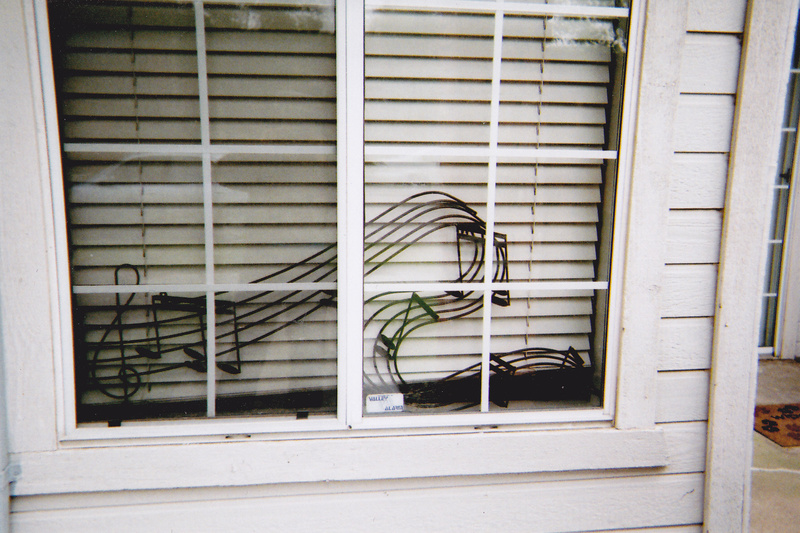 The neighborhood piano teacher lives on…. Oakland has so many quaint streets and neighborhoods. OOPs did I say “neighborhoods,” an ugly label that’s fast becoming a stigma for so many fine piano teachers who’ve carved their sterling reputations over decades but refuse to leave their time-honored homes on the edge of town. The same prejudice applies to Fresno, but in a different way. Well, not exactly. West Fresno is verboten and that’s ironic because our city has the highest car theft rate in the country, and its incidence and related crime are neighborhood-blind. For instance, my old Camry had been vandalized three times while parked on an upscale, tree-lined street. And my best friend’s Saturn was heisted from her driveway, in plush, Northwest Fresno. On that somber note, do I dare advertise, “Experienced Piano Teacher in Northwest Fresno” at any number of websites with dizzying passwords. (numbers, letters, up and down, 7 or less, don’t capitalize.. oops one letter must be in CAPS) It really doesn’t matter. I notice that a wave of Music Teacher listings have hit the Internet, and most, as far as I’m concerned, do not bring in the bacon because NEIGHBORHOOD is omitted. Everyone wants to know your personal business and where you landed in your life, on this choice street or the bad one. BUT… I was teaching in the most prestigious area of the city, on VAN NESS EXTENSION and that made all the difference. If I had listed my hovel off Blackstone, I’d have gone under with the cat, kit and kaboodle. It’s all about neighborhoods and their disqualifying effect. I always make it a point to schedule a phone interview with a parent inquiring about lessons. In some cases, if I’ve posted on Craig’s List, (did I say C.L.?) I always require MORE information. Oops that form of advertising has a BAD rep with all the stuff in the news about escorts leading to in-house murders! Frankly, it’s gotten to the point that a prospective teacher either pays for a background check on herself, or produces one in advance–Okay fax it over, or better yet scan it to the super-vigilant parent, who considers where you live to be a top priority. Do I dare show up at the next block party? Or should I wear my Groucho Marks disguise? Now that I live in a snazzy, RENTED townhouse, that used to be draped in trees, will I still attract a crop of new students? (Sadly the pine that provided shade on 100+ degree days was mercilessly cut down and sits as an ugly stump with carved letters, F—off!”) Will that devalue my place? Less so, than a RENTAL would. I’m supposed to OWN something of value. 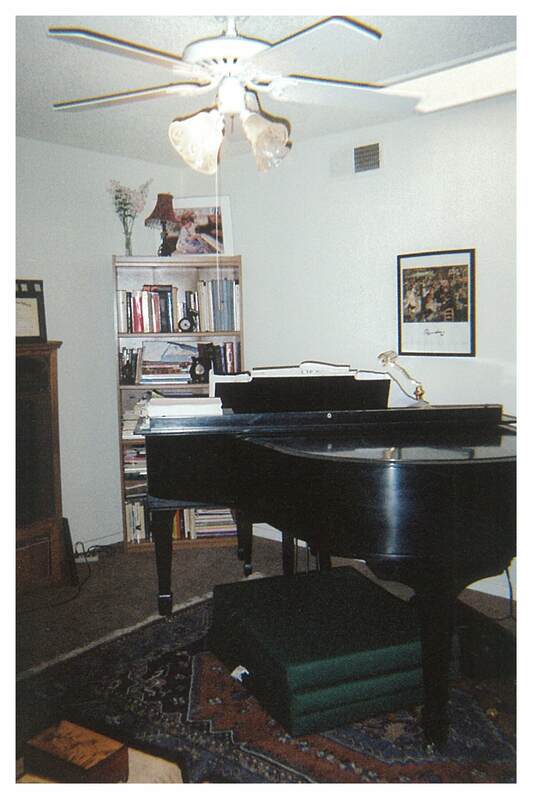 Doesn’t matter that three pricey pianos fill the downstairs space. (oops, I didn’t list my lease and its terms on the CL post) Wait, they require a telephone verification and secret code. Oh My Gosh! I misplaced the brain-defying number with letters and symbols. And I can’t read those crazy, scrawled letters that are spam eradicators!! What about my mailbox that’s been vandalized one too many times? But this is Fig Garden and a prospective piano teacher can boast easy reach to upscale shopping within walking distance. Did I say WALK in any shape, sense or form? No one walks around here. It’s a car culture, which makes me wonder why the NEIGHBORHOOD TEACHER is in vogue in the first place–especially the one who charges $5 per lesson, and lives next door. Most parents want to DRIVE, about 1 mile or less, so they can stop off at Walmart or Target. Oh, no, Walmart is about 3 miles north of me. And they’ll have to take Shaw which is plagued by traffic!!! The NEIGHBORHOOD fixation, for the most part, may be exaggerated. For example if you think a NEIGHBORLY student will sign up for YEARS of lessons, you’re sadly mistaken. 50% of the time, she was a NO SHOW! and by her sixth month of study (which equaled 12 weeks) she totally disappeared, not even leaving a few breadcrumbs of warning. The old story.. piano lessons had bottomed out. Parents worked round the clock shifts and the “babysitter? ?” forgot about piano entirely with the TV blaring and Taylor Swift competing for attention. One last anecdote that ties into the neighborhood phenomenon, and whether it’s dying on the vine or not. For purposes of I.D. the parent had a budding family of three children (one infant) when her talented 8-year daughter crossed my threshold. They all traveled in from Clovis, about 4 miles north and it was NO big deal. I had taught any number of kids from this area, cowboy boots and all, but truth be told, the schlep always created complications. The child did exceedingly well in a few short months and was about to embark upon a journey into the classical repertoire when she was pulled from lessons. I should have heeded the warning of last minute phone calls left as messages from the gas pump. Mom was overwrought. She was out of Huggies and had to stop off at Costco for a bargain. Fresh and Easy, a stone’s throw away, was too pricey. Before long, I could tell by the ring of the phone that she was calling from a gas stop in Clovis 5 minutes into the piano lesson. But I have one better: An adult student who lived a half-mile south of me, canceled by cell while parked in front of my house. The sprinklers were on full force dousing her Lexus. Oh, I just give up! I’ll never live in the right neighborhood and it doesn’t matter. Those who really want to study piano will brave any and all residential challenges, side-stepping dog-poop to get to me. If any parent/s spent 10 minutes reading your site about how you teach, the care you obviously take, the knowledge with feeling that is apparent why in the world SHOULD they worry about anything else. I was not able to take lessons until I was 13. I would have given anything to have had a chance to take lessons from someone of your caliber. It just was not there. I hope more people can appreciate you, but human beings all too often care more about appearance than anything else or other shallow things. Such is life! Good luck attracting the parents who will appreciate what is right in front of them. Thanks for your kind thoughts,Terri. I should write a retrospective on the times and how they’ve changed, but someone already beat me to it. I think the age of iphones, ipods, and related technology are the latest hypnotics.. and lots of people are so immersed in it, not gaining exposure to what is artistic, heartfelt and intangible. They’re rushing all over the place. Often the e-mails I receive from inquiring parents are unfocused. They’re not sure why they’ve contacted me in the first place. There has to always be that wonderful place, that other world happiness that music brings when it is just one and the instrument…..it has to stay strong. Computers can’t replace us there. Tech…..well it is too bad that everyone has not experienced the joy of making music instead of just listening. This was one of my favorite posts. And it applied to my many teaching venues, including California’s Central Valley where I taught for years after leaving hometown NYC.. Finally in Berkeley, the “neighborhood” phenomenon is REAL and influential when choosing a piano teacher. “If any parent/s spent 10 minutes reading your site about how you teach, the care you obviously take, the knowledge with feeling that is apparent why in the world SHOULD they worry about anything else. ” WELL SAID, Terri O.! Parents and students should be knocking each other over to get to Shirley’s doorstep. Thanks for the confidence booster, Lisa!! !